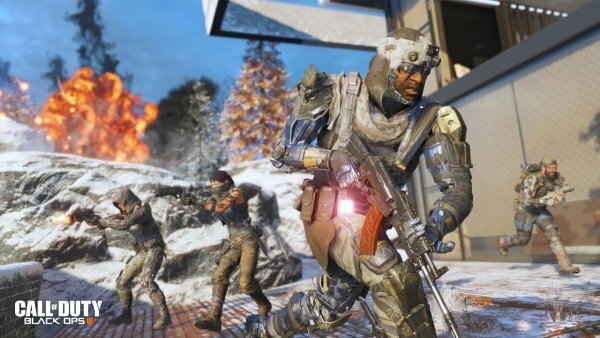 Bringing an end to a partnership that began with Call of Duty: Modern Warfare in 2007, Call of Duty: Black Ops III will be the first entry into Activision’s sales juggernaut that will align its downloadable content with PlayStation platforms. It was a switcheroo that produced more questions than answers, though during the publisher’s showing at Gamescom in Cologne, it confirmed that the franchise’s long-running competitive scene will now align itself with Sony’s systems. Charlie Intel has the skinny on the change of hands, which in itself will have a marked effect on the franchise’s eSports community. What this means is that an entirely new section of the audience will be able to access the competitive events, though given that many of the key players and professionals have fine-tuned their razor-sharp skills using Xbox consoles and controllers, it’ll be interesting to see how this affects the general set-up. Moreover, considering that Microsoft has acted as a primary sponsor of the annual Call of Duty Championships over the years, the ball will be in Sony’s court when it comes to promoting and hosting the popular pro scene. Call of Duty will return later this year with Treyarch’s Black Ops III, a dark, futuristic shooter that will blast onto PlayStation 4, PlayStation 3, Xbox One, Xbox 360 and PC on November 6.